New Head Coach Chip Kelly met his comeuppance in Philadelphia because of his stubborn insistence that a player’s talent level mattered less than his ability to fit into Chip’s rigid offensive vision. For the San Francisco 49ers long-term hopes, one must hope he’s learned his lesson. For San Francisco’s short-term prospects, one must hope that he was right all along as he takes the reins of one of the NFL’s more talent-bare offenses. Kelly’s reputation as a quarterback whisperer comes from two seasons ago, when he managed to squeeze highly competent play from the since-marginalized Nick Foles. That reputation took a hit last season when Sam Bradford didn’t live up to the expectations set by the trade Kelly made to acquire him. Kelly will get to make his choice of reclamation projects at the Quarterback position in training camp, where high draft picks Colin Kaepernick and Blaine Gabbert will be in preseason competition. This amounts to a high ceiling vs. high floor decision. Kaepernick set the NFL on fire when he was named starter over Alex Smith in 2012, but has sputtered badly ever since. Conversely, Gabbert has never shown the high points of Kaepernick’s playing career to this point, but he has flashed some amount of ability. If Kelly can regain his magic touch with his QBs, that would raise the ceiling on San Francisco’s season exponentially. Nearly as important as QB in Kelly’s system is the running back spot and this is one of few areas where the 49ers actually have interesting players. 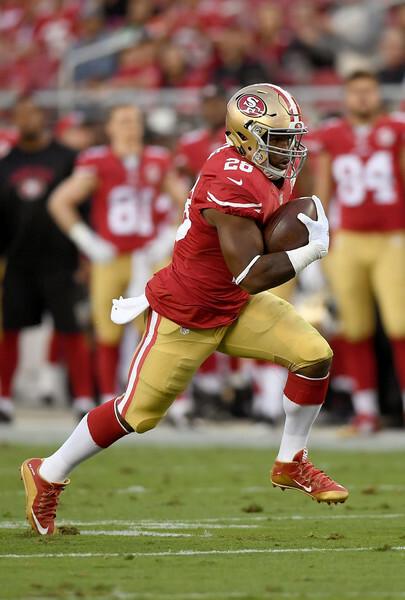 Carlos Hyde is good enough to be the workhorse in Kelly’s system. Hyde has the kind of patience as a back that one needs to succeed in a zone blocking scheme like the one the 49ers will use this season. Hyde has always flashed the potential to be a top-notch running back but has never proven it over the course of a full season. He’ll have every opportunity to do so this season because the weapons in the passing game are just not there. San Francisco’s pass-catchers are as weak a unit as you will find in the NFL. Torrey Smith is a fine secondary option at wide receiver who is better than anyone in football at drawing pass interference penalties (Seriously, this is actually a thing), but he will struggle to be effective when opposing defenses get to direct the attention typically afforded a number 1 receiving option at him. The rest of this receiving corps is almost entirely anonymous, though rookie Aaron Burbridge shows some promise as an exciting playmaker. Expect a lot of TE-heavy sets with Vance McDonald and Garrett Celek. Don’t expect the offensive line to be giving those receivers a lot of time to get open either. The 49ers traded up in the first round to draft Stanford Guard Joshua Garnett, a player much more known for his skills in the running game than pass protection. He should help open lanes for Carlos Hyde, and he’ll have to as this blocking unit figures to struggle mightily this year. Third-and-shorts will be key all season as either Kaepernick or Gabbert will have little time to get the ball out. A previously unparalleled front seven has been de-fanged by injuries and early retirements. 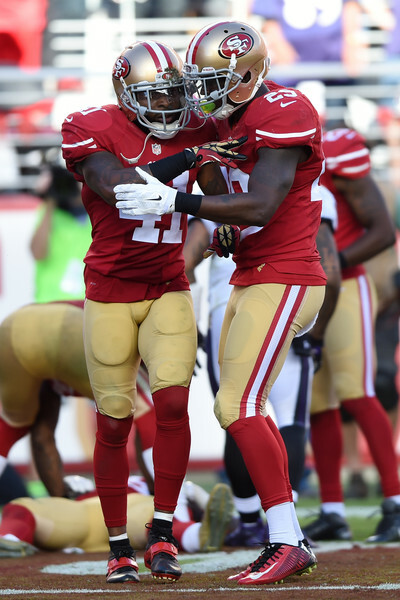 Future-minded 49ers fans should be excited to watch this collection of players, though, as GM Trent Baalke has laid the groundwork for this unit to be good again very soon if things fall into place. Top draft pick DeForest Buckner was a force in his last two years in Oregon and looks an exciting pass-rushing talent. The 49ers also boast one of the League’s better run-stopping Nose Tackles in Ian Williams. Many are also bullish on more improvements from Arik Armstead, who impressed in pass-rushing situations in 2015. Those three players make up a raw, but promising defensive line. The linebackers around NaVorro Bowman are much less exciting, and even Bowman is a question mark as he continues to recover from his grisly knee injury at the end of 2014. The 49ers secondary is solid if unspectacular and a bit disappointing. Safety Antoine Bethea has always been somewhat overrated in the eyes of this writer. He has never belonged in the conversation of safeties who can anchor an elite secondary, but he is a good player who can be counted on to provide above average play and veteran savvy. The rest of San Francisco’s secondary is made up of young players (Baalke drafted 3 cornerbacks last Spring) and a pair of talented players who have yet to reach their potential in Eric Reid and Tremaine Brock. Jim O’Neil is a solid defensive coordinator who got good play out of his defensive backs in Cleveland, but San Francisco could easily fall into the trap of relying on inexperienced players in their defensive backfield. That never ends well. 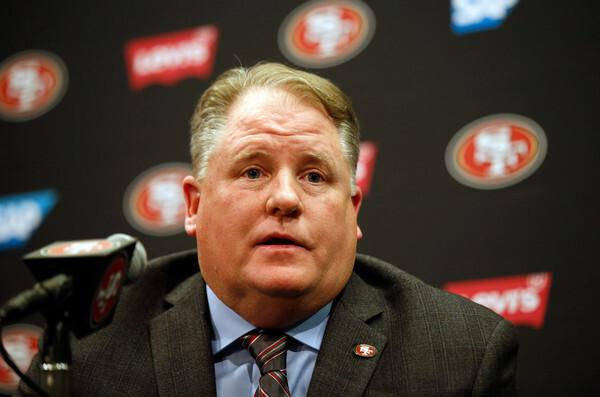 Chip Kelly rediscovers what made him burst onto the scene in his early days in Philadelphia. Carlos Hyde is one of the League’s better running backs behind an improved offensive line and Kelly’s zone running schemes. Either Blaine Gabbert or Colin Kaepernick lives up to their high draft status and do enough with a poor set of receiving targets to propel San Francisco to a league-average offense. San Francisco’s front seven matures faster than anyone expected and the 49ers finish near the top 10 defensively. San Francisco becomes one of this season’s feel-good stories even in the brutal NFC West, with many great seasons ahead of it. San Francisco’s talent-deficient offense gets exposed as neither Kaepernick nor Gabbert take off. This is the worst passing attack in the NFL and defenses consistently get to load up the box against Hyde and the running game Kelly was counting on to carry the load. The defense makes some exciting plays in the pass rush but struggles with consistency and finishes in the bottom 10 in the NFL. Critics begin to wonder whether Chip Kelly actually knows what he’s doing in the NFL, and the 49ers pick 1st overall next April. San Francisco’s offense will struggle against their BEAST of a divisional schedule but will not be as bad as the apocalyptic worst-case scenario above. DeForest Buckner will be better than expected and the front-seven will cause enough problems for opponents in pass protection to propel the defense to a respectable status. But Chip Kelly gets another reminder that you actually need players on the field and not just schemes in a playbook. The 49ers don’t have the personnel to avoid 10 losses and that is how their season will end up.